South Story Bank & Trust’s support of non-profit organizations has made a tremendous impact in Story County for many years. They are a great supporter of United Way of Story County's (UWSC) LIVE UNITED annual campaign as well as UWSC special events. The corporation matches employee gifts. South Story Bank & Trust is a strong supporter of the Ballard Community Schools and its affiliates on an annual basis, the Story County Fair, Story County Extension, Story County Cattlemen’s Association, Heartland Senior Services, and Story County Community Foundation. In addition to all of the financial support, South Story Bank & Trust employees volunteer their time and talents on committees and boards in Story County. These positions filled by employees’ volunteer time in the Ballard communities are with the Ballard Education Foundation, Ballard Kiwanis, Slater Community Club, Ballard Business Alliance, and various churches. Volunteering goes beyond Ballard and extends into the county including Ames Chamber of Commerce, Ames Economic Development Corporation, Story County Extension Council, United Way of Story County Women United, Story County 4-H Foundation and Iowa State University Alumni Association. South Story Bank & Trust’s impact on the community is reflected by its exceptional corporate culture that encourages community involvement and philanthropy, making them a leader in support for Ames and Story County! Rotary, by its nature, is a service organization whose byline is “service above self.” The Ames Morning Rotary Club has a long-standing philanthropic impact on Story County as well as internationally. Their primary focus has been to increase childhood literacy and healthy development of young children throughout Story County. This can be seen in their support of Raising Readers, as well as the Kids Run for Kids event. The Ames Police Association, Boys and Girls Club of Story County, Ames Public Library, Heartland Senior Services Center, the Emergency Residence Project, and the Story County Veterans Freedom Flights have also benefited from the philanthropic efforts of the Ames Morning Rotary. The members of the club not only support these efforts with financial contributions, but also with their time through volunteering. The Ames Morning Rotary may be fairly small in size (approximately 57 members), but it continues to “come through big” for Story County! ​Pat and Dr. Louis Banitt are committed to giving back to the community that has given them so much. They support healthcare, education, innovation, and the arts. They give generously of their time and financial resources to Mary Greeley Medical Center, Story County Community Foundation, Ames Education Foundation, Ames Community Arts Council, Iowa State University Museums, United Way of Story County, Primary Health Care, Ames Public Library and many other nonprofit organizations in our community. Their volunteer leadership roles have resulted in substantial financial support throughout Story County and serve as an excellent example for others to follow. The Banitts believe in leaving a legacy and have established several endowment funds throughout the community. They have served as founding donors to the United Way of Story County endowment fund and the Ames Education Foundation Band Endowment. As members of the Mary Greeley Foundation’s Greeley Society, Louis and Pat will establish a significant endowment through their estate plan to fund Innovation. These gifts represent the deepest of commitments and will have a lasting impact on the whole community. Pat and Louis Banitt lead by example, demonstrating their own values and inspiring others to join them. They are a true picture of quality leadership and philanthropy, and they have had an immeasurable impact on the community around them. The Latinx Student Leadership Council is comprised of several student organizations at Iowa State University who share a common goal—to promote the success of Latino, Latina and Latinx students, regardless of their immigration status, in higher education. In late 2017, the council worked with the Iowa State University Office of Diversity and Inclusion, the Iowa State University Office of Student Financial Aid to create a scholarship, the first of its kind, to support DACA and undocumented students, pursuing their degree at Iowa State University. 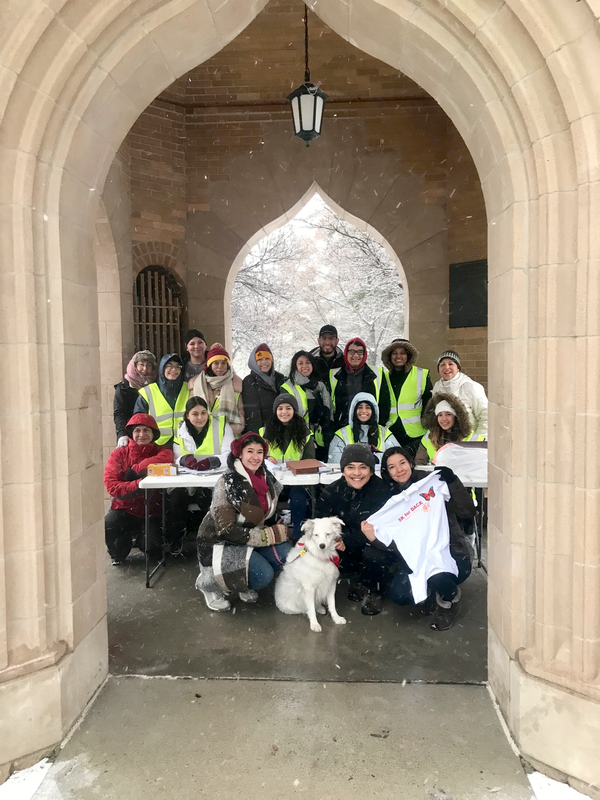 The council planned and carried out their inaugural event—a fundraiser at Blaze Pizza in Ames and a DACA 5K Run on the Iowa State University campus. Among the council members, and additional recruited volunteers, they created a communication plan, made shirts for participants, set a fundraising goal and developed a race route. Through the two events, the council raised over $6,000 for the scholarship. In April 2018, the council was able to award six $1000 scholarships to students within the Ames community. The Latinx Student Leadership Council demonstrates collective leadership, drive and commitment to make real change in their community. Michael Wiechman's philanthropic spirit is inspiring, especially given his age. At just 10 years old, Michael set out on a mission to provide a better Christmas for those who need it most. Throughout the months of November and December of 2017, Michael worked to collect cash donations and in-kind items to provide hygiene kits to homeless youth in Story County. 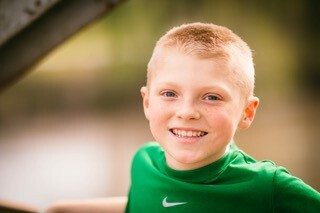 Because of his efforts, Michael was able to raise over $1,000 in monetary donations. The money he collected was used to purchase items for the bags. His efforts allowed him to provide more than 100 hygiene bags to be distributed to those in need. Each hygiene bag included a comb, soap, toothbrush, toothpaste, deodorant, socks, a hat, a gift card to Dollar Tree and other items to help people feel clean and warm. Michael enjoys serving his community and is so very excited and honored to be a part of this award; he would like to accept it on behalf of those who helped contribute to the bags. Story County is fortunate to have a young man of such character in our community!